Vin-UP is seen as a soft-sell strategy, offering to buy an owner's vehicle first, making the prospect of a new-vehicle purchase more attractive. Canadian Black Book is teaming with Mobility Sales Solutions to offer the U.S. company’s Vin-UP tool to auto dealers in Canada. 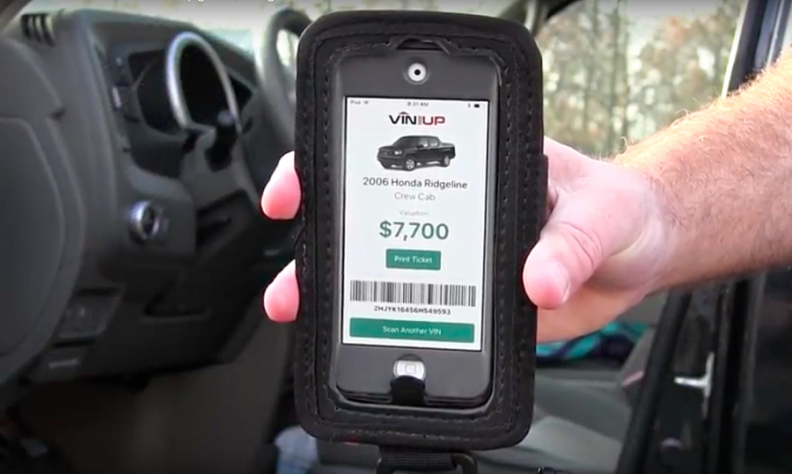 Vin-UP uses a scanner or a dealer service department’s tablet equipped with the Vin-UP application to scan the vehicle identification number when it comes in for a service appointment. The app can then generate a coupon giving the buy-back value for the vehicle and include dealer and automaker purchase incentives. Canadian Black Book said in a news release it is the exclusive provider of valuation to power the system, as well as the sales arm for Vin-UP in Canada. Mobility Sales Solutions works with Kelly Black Book in its U.S. operation. Vin-UP is seen as a soft-sell strategy, offering to buy an owner’s vehicle first, making the prospect of a new-vehicle purchase more attractive. It’s also a way of retaining existing dealer clients. Dealers can tailor the program to particular model years they are targeting for buy-back. Qualified owners would receive an instantly generated offer. If they are not ready to sell and buy, scanned information would be kept in the dealer’s database for future use. “Canadian Black Book has come a long way from our days selling little black books to dealers,” said CBB president Brad Rome. CBB spokesman Conrad Galambos said the product has just been launched and so far the only client is BMW Canbec of Montreal, which ran a two-month pilot and has committed to using Vin-UP. Dealers pay a monthly subscription fee if the dealership follows up leads itself, or followup services are provided by Suivitel.